Programming note: We'll be back on Monday! Queen Victoria and Prince Albert’s shared love of art and design resulted in many an exquisite treasure, including jewels like her Sapphire Coronet and the Oriental Circlet. 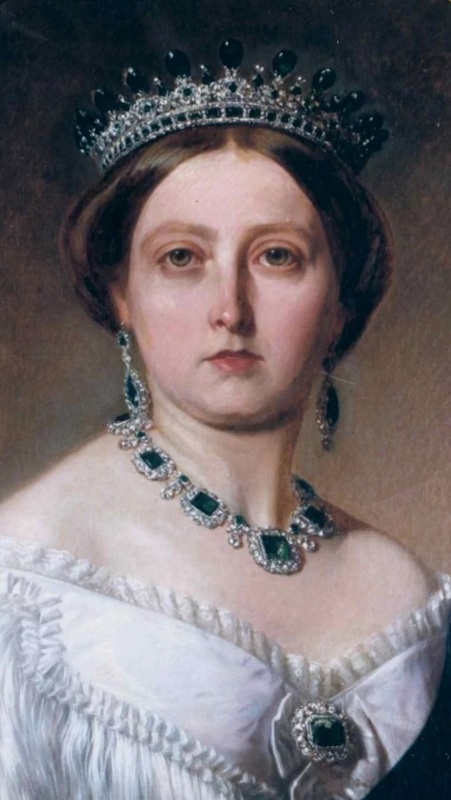 “Albert has such taste and arranges everything for me about my jewels,” Victoria wrote. 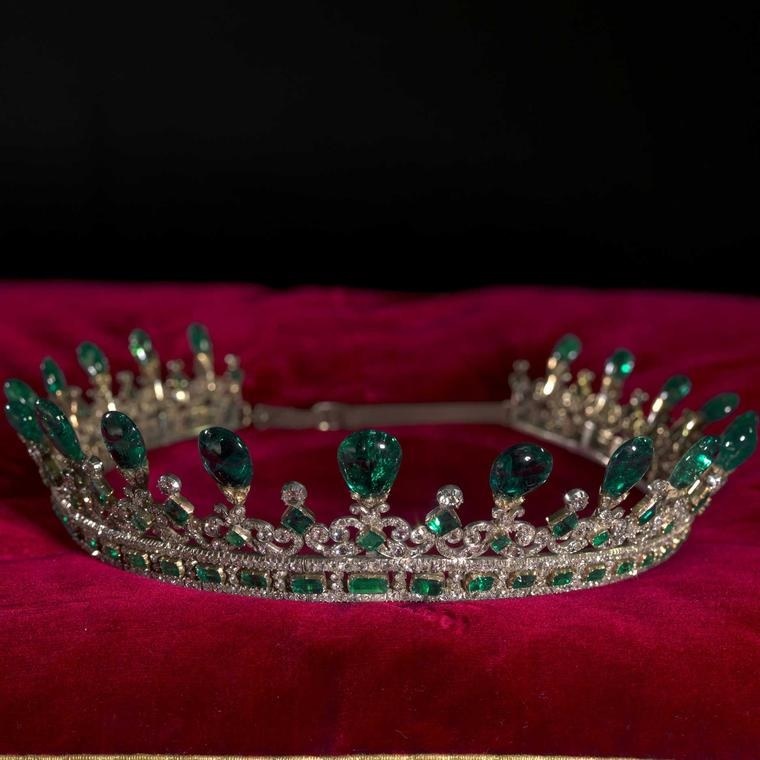 This Gothic-inspired emerald and diamond tiara is another example, a piece personally designed by Prince Albert and commissioned in 1845 from the London jeweler Joseph Kitching for £1,150. 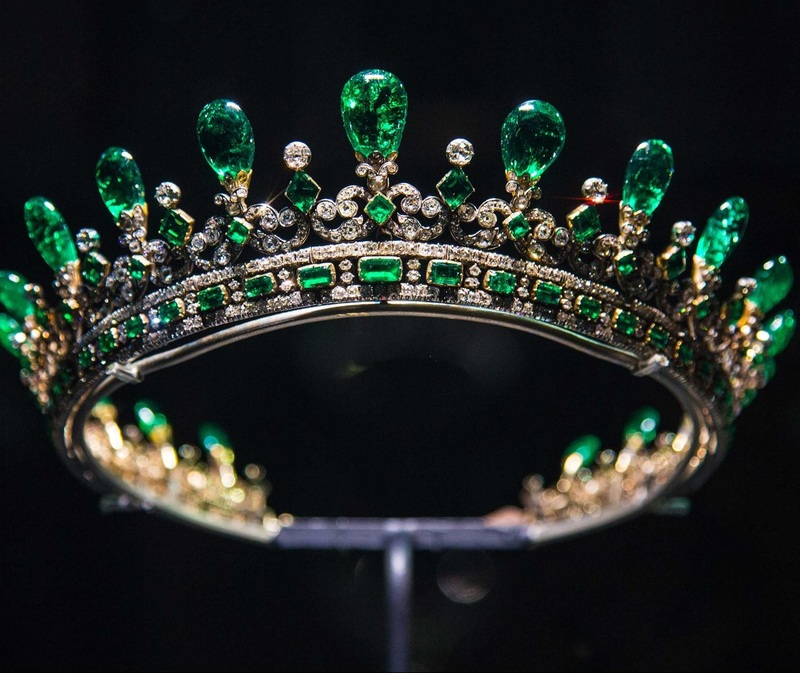 The tiara, nearly a full circlet in shape, has a base of cushion-shaped diamonds and step-cut emeralds topped by a graduated row of 19 inverted pear-shaped emeralds; the largest emerald weighs in at 15 carats. The tiara completed a parure of emeralds and diamonds previously gifted to the Queen by her husband, including a necklace with 9 clusters of emeralds surrounded by cushion-shaped diamonds, a pair of pendant earrings, and a brooch featuring a 20-carat emerald. Queen Victoria was thrilled with her emerald tiara gift, referring to it as a “lovely Diadem of diamonds and emeralds designed by my beloved Albert” and writing of her husband’s “wonderful taste” in her journal. She chose to wear the emerald tiara in the family portrait she commissioned from Franz Xaver Winterhalter the following year, entitled The Royal Family in 1846. 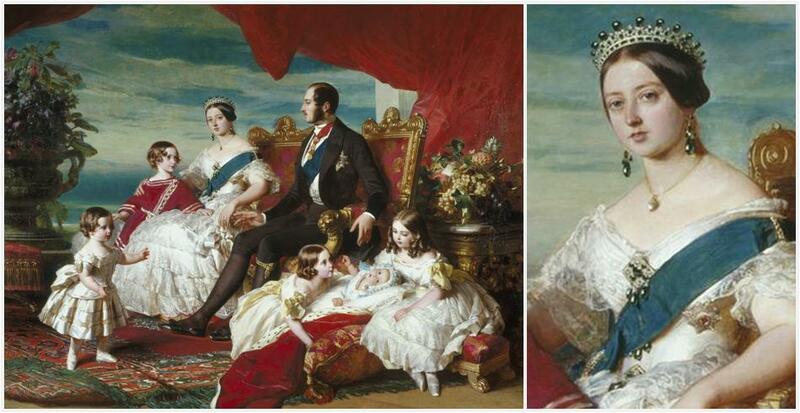 For that family portrait, she paired the tiara with a different set of brooches and earrings. She was later painted wearing the tiara with the parure that exists today. 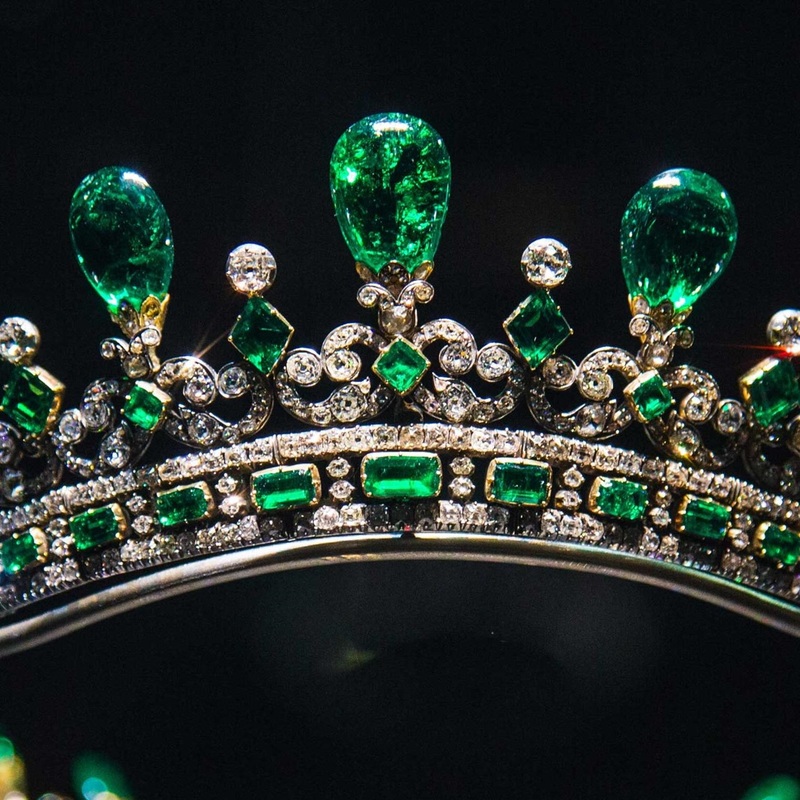 Queen Victoria loaned the emerald and diamond tiara to her granddaughter Princess Victoria of Hesse and by Rhine in the 1880s; on that occasion, it was worn around a cap likely as part of a costume. 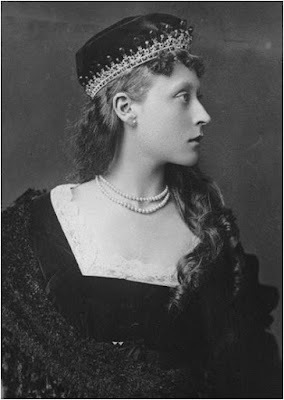 The tiara ultimately ended up in the possession of another granddaughter, Louise, the Princess Royal and Duchess of Fife, daughter of King Edward VII and Queen Alexandra. 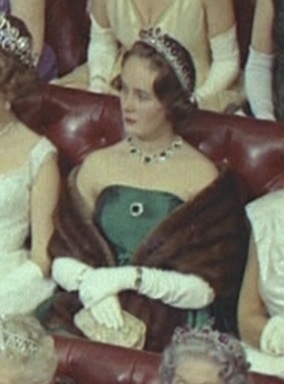 The parure has since remained with the Fife family. It was worn to the State Opening of Parliament in 1960 by the then-Duchess of Fife, one of the only examples of the diadem in use. 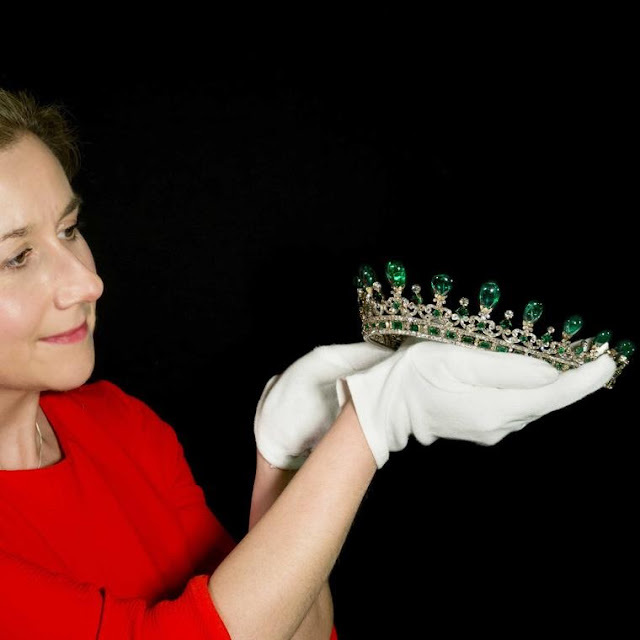 The family has allowed the tiara to be shown on exhibition – and, of course, has just now loaned it on a long-term basis to the Victoria Revealed exhibition at Kensington Palace alongside the Fife Tiara and the Fife Fringe Tiara. 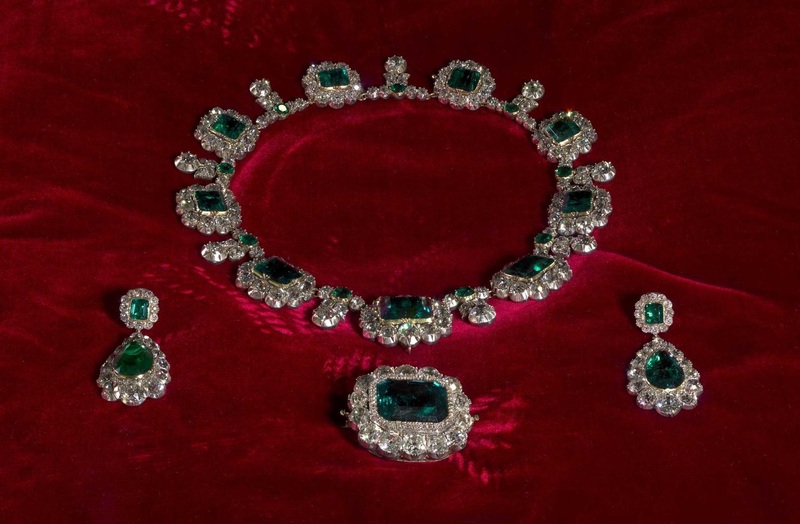 The rest of the emerald parure is also on show, ready and waiting for your admiration. It already has mine; this is one of my absolute favorite pieces. Magnificent. Have the new pictures (or an in-person view, perhaps) changed your view of this tiara?